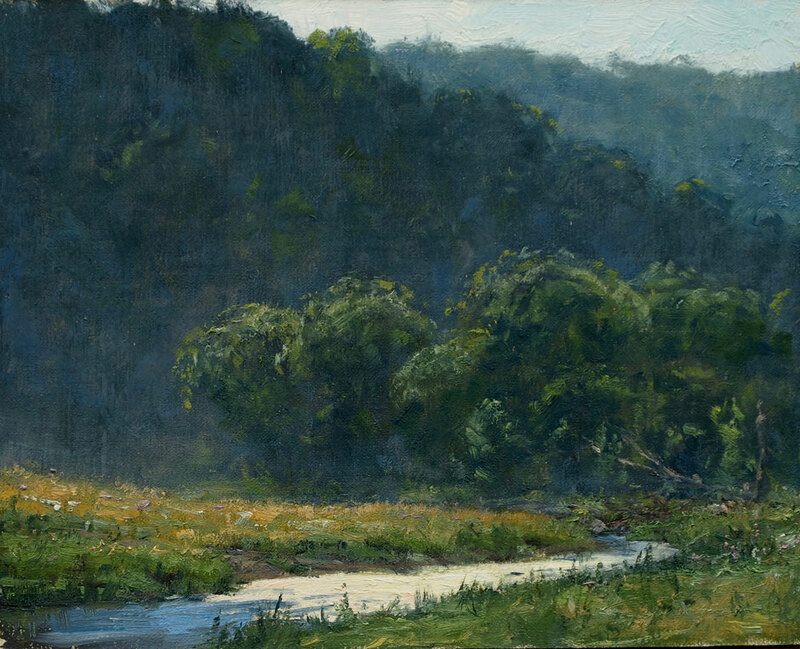 Joshua Cunningham "Fall Below the Bluffs"
Joshua Cunningham "Stirring the Stream"
Joshua Cunningham "Root River Reveler"
Joshua Cunningham "Pine Creek Pirouette"
Joshua Cunningham "Calling it a Day"
Joshua Cunningham "Spring's Around the Bend"
Joshua Cunningham "Winding to Decorah"
Joshua Cunningham "Thirty Mile Thunderheads"
Joshua Cunningham "Beyond the Barn"
Joshua Cunningham "Pushing for Home"
image: 16 x 20" | frame: 22 x 26"
Joshua Cunningham "Fountain City Sunset"
Opening Reception: Saturday, December 2, 2-5 p.m.
A Minnesota native from rural Isanti, Cunningham currently lives in St. Paul. 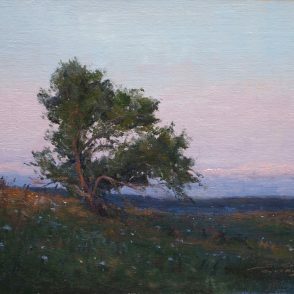 He began his studies at St. 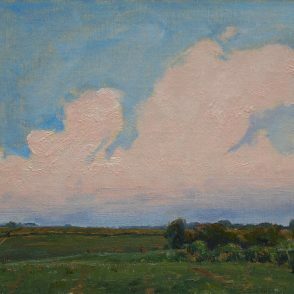 Cloud State University and continued at St. John’s University. 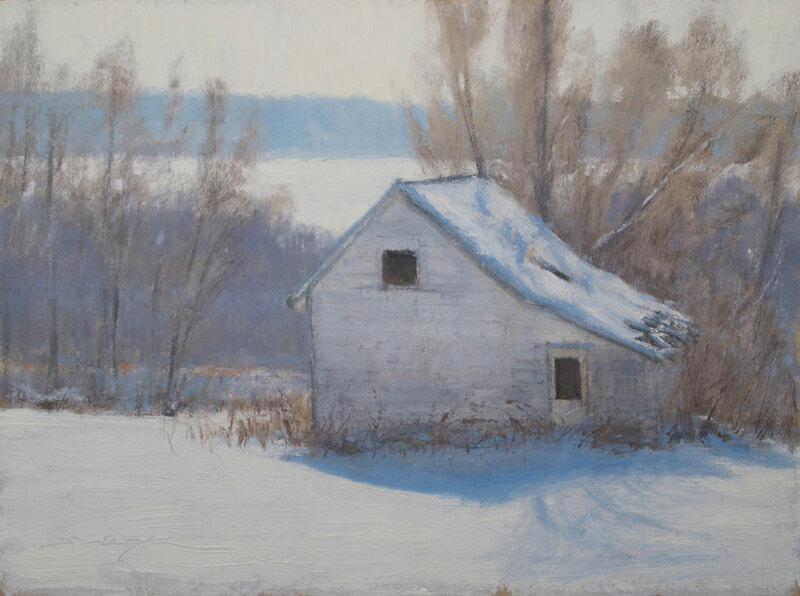 He also apprenticed with Mark Balma and worked with the Hurinenko & Paquet Studio in St. Paul. 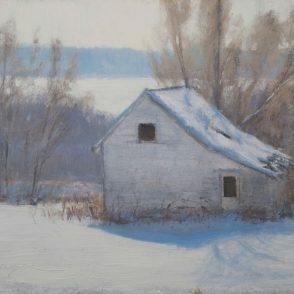 His paintings can be found in private collections throughout the US. 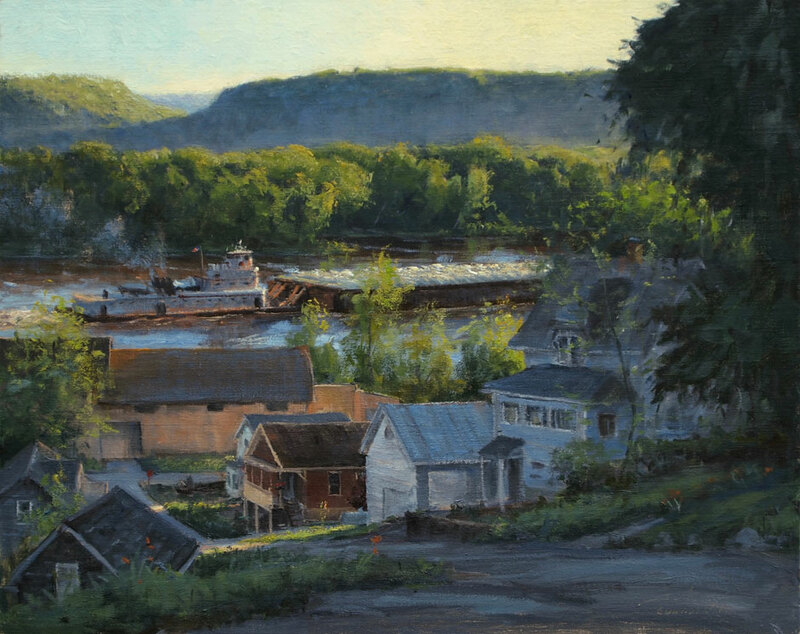 His work has garnered national recognition with inclusion in Oil Painters of America’s National Juried Show and a feature in Plein Air Magazine. 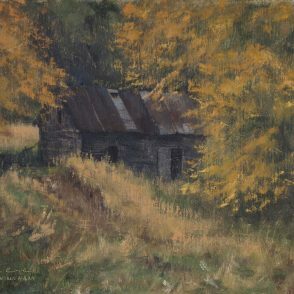 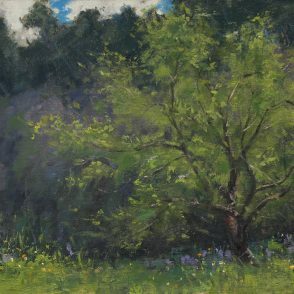 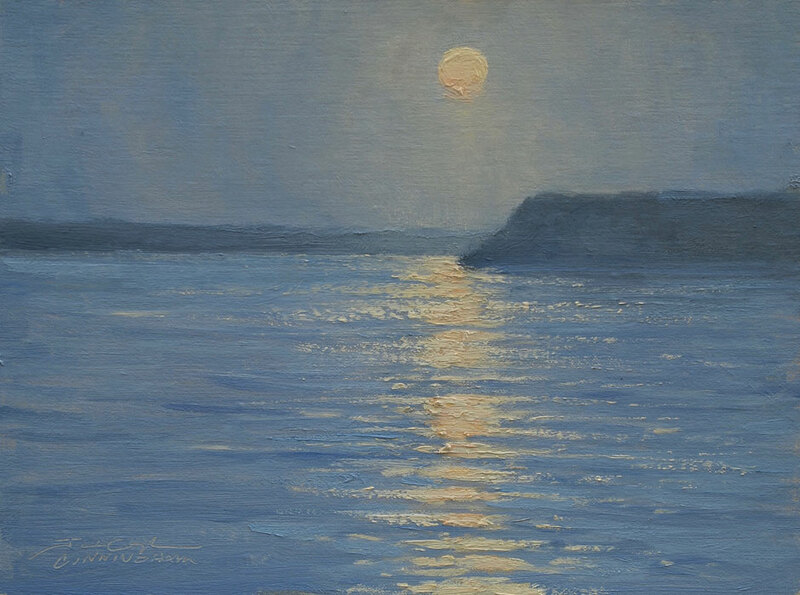 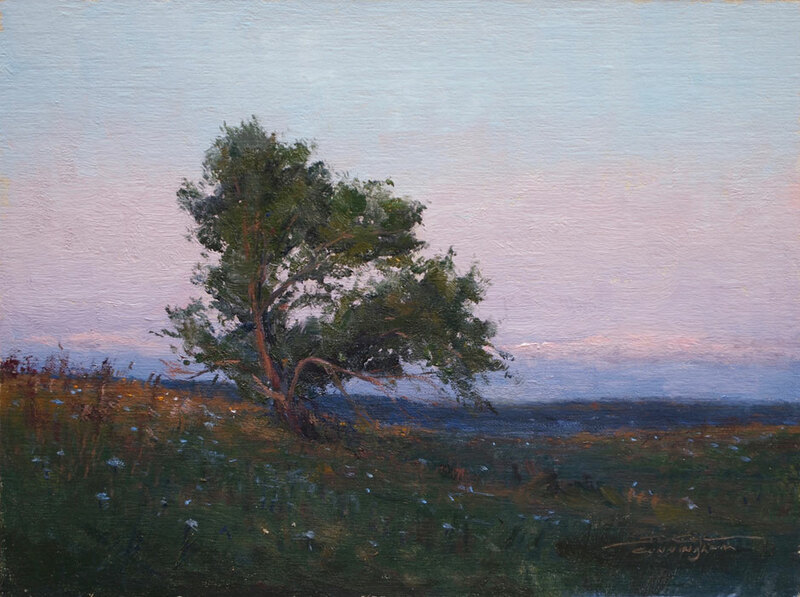 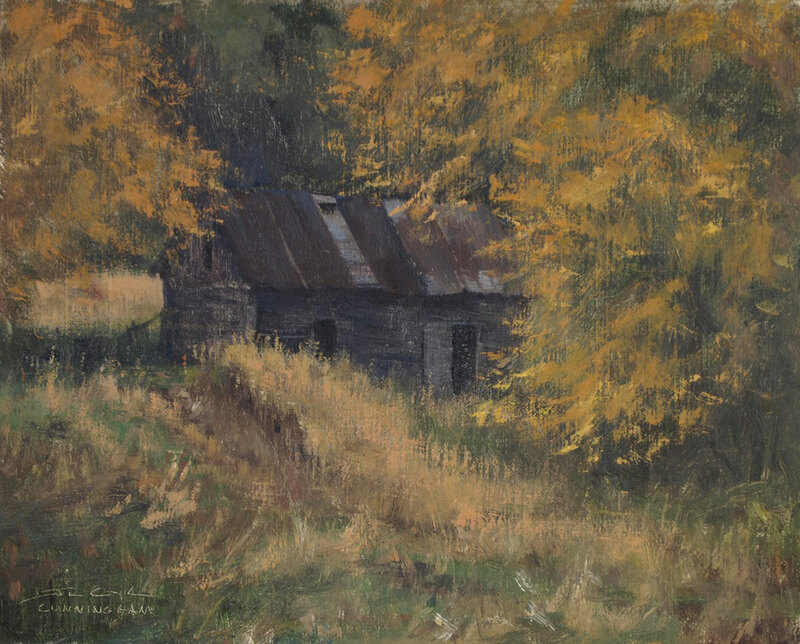 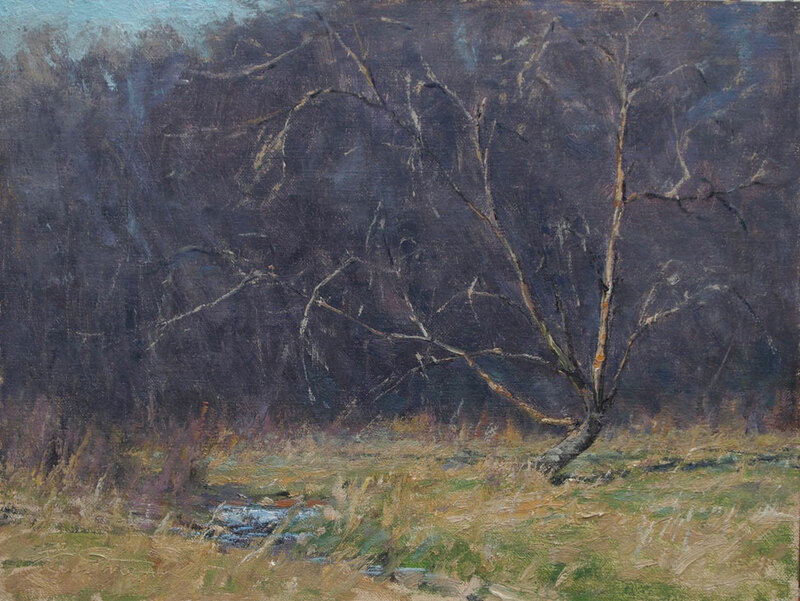 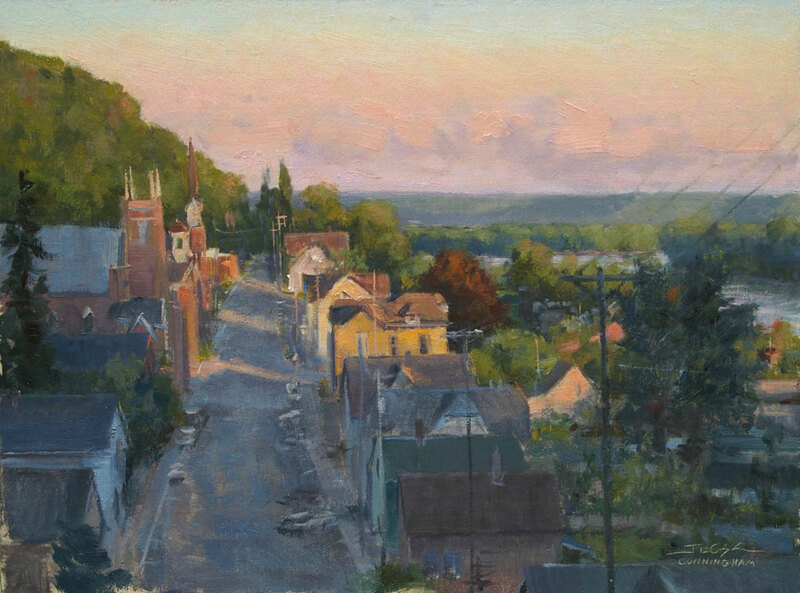 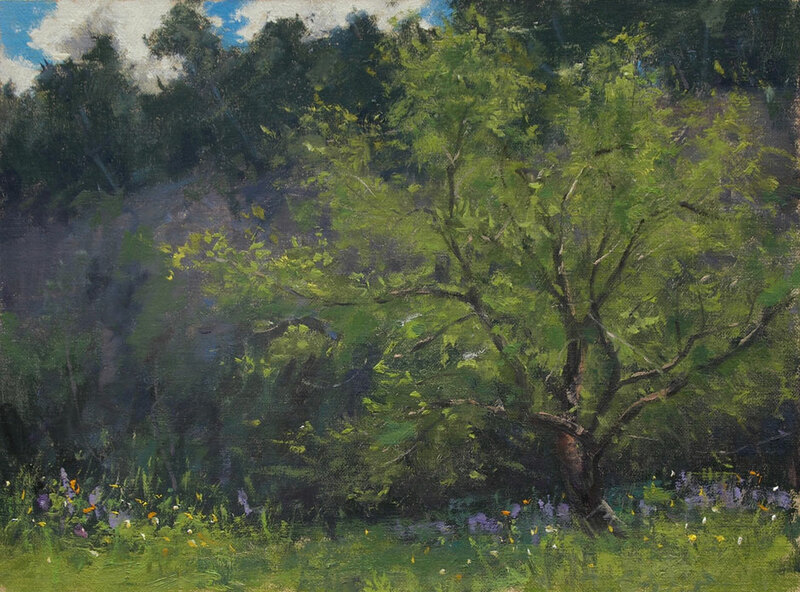 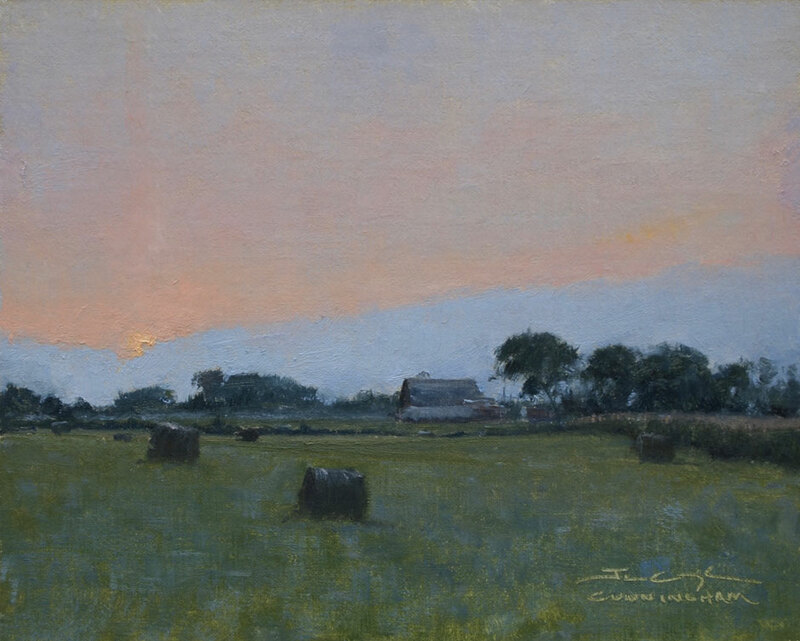 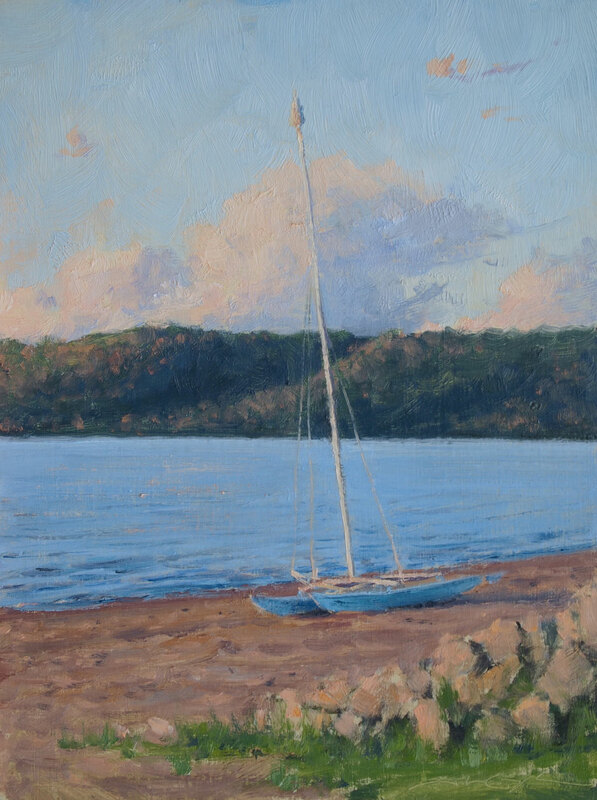 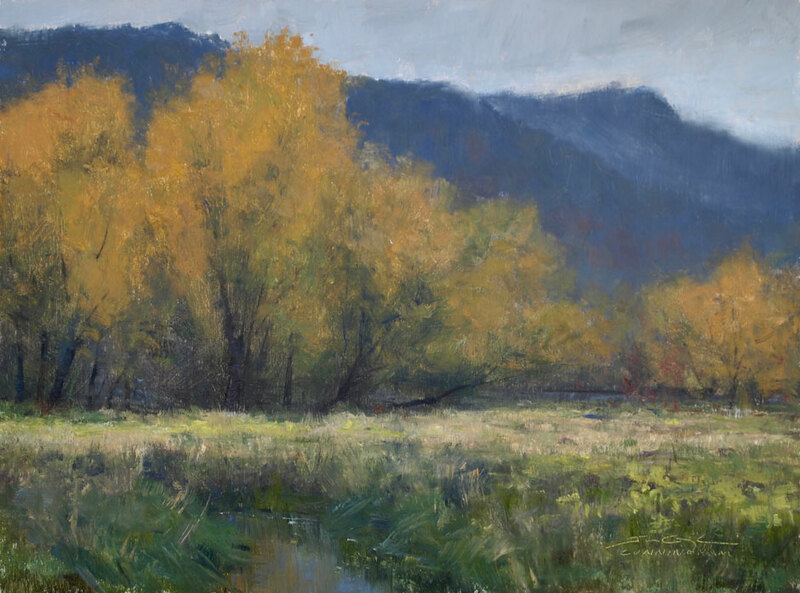 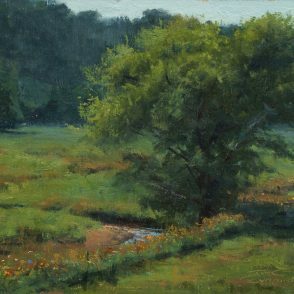 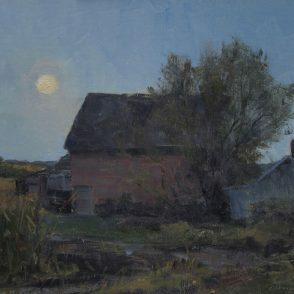 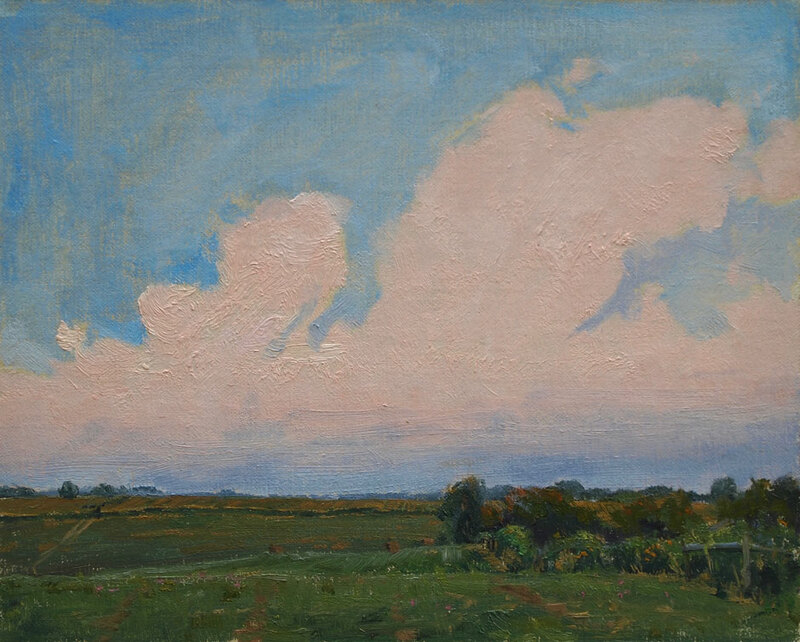 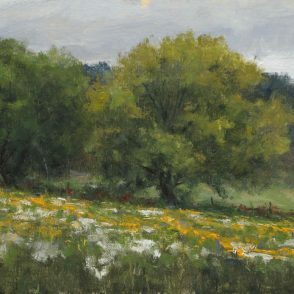 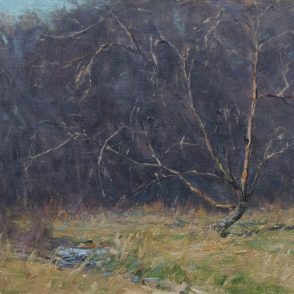 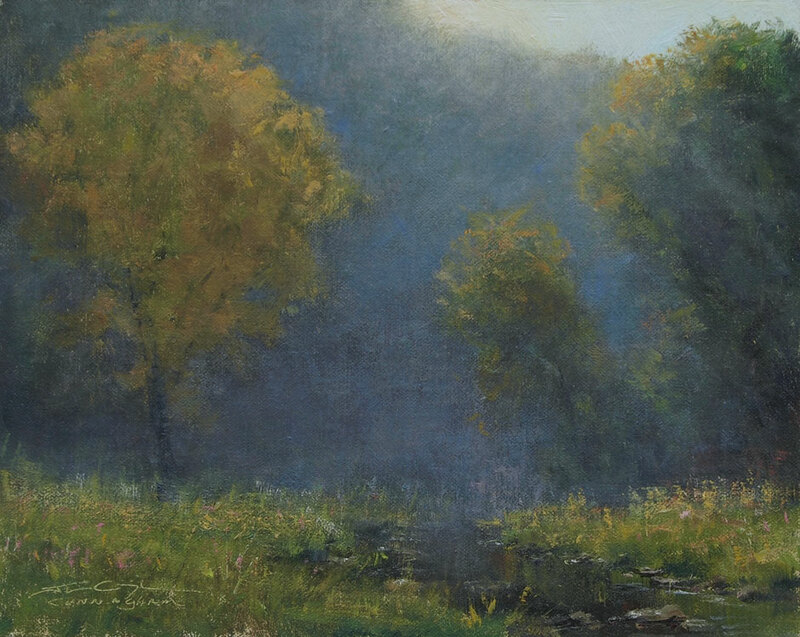 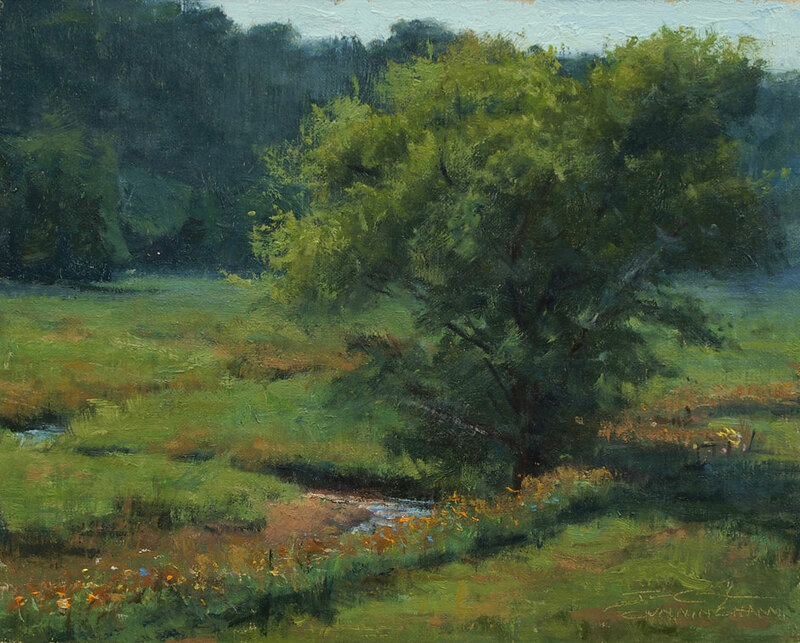 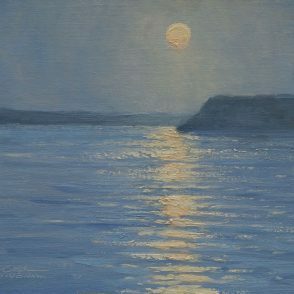 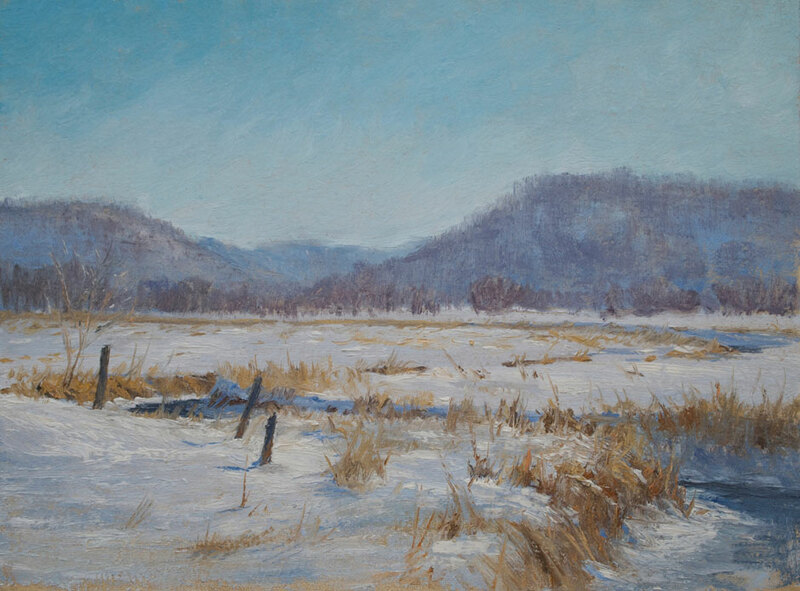 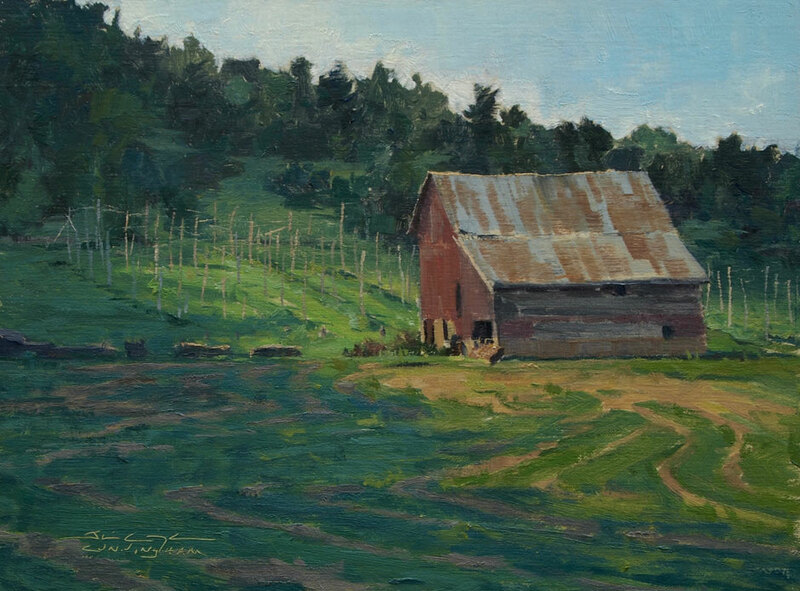 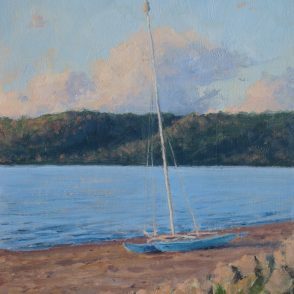 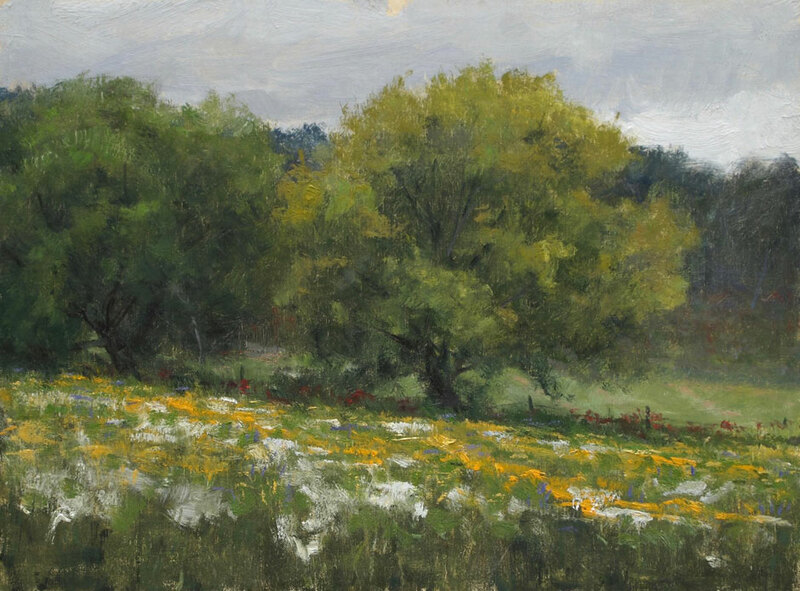 Cunningham works primarily en plein air, the practice of painting outdoors. 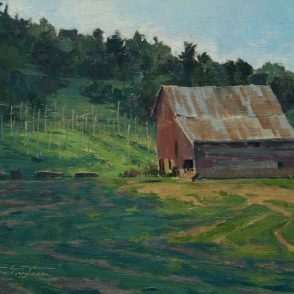 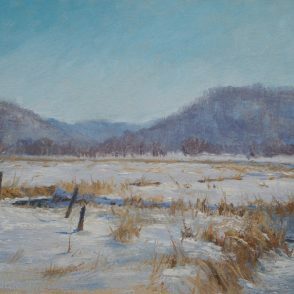 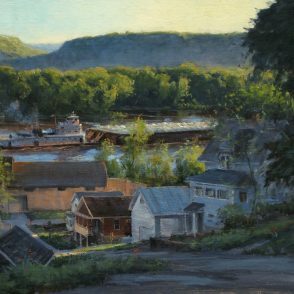 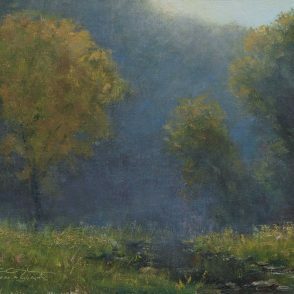 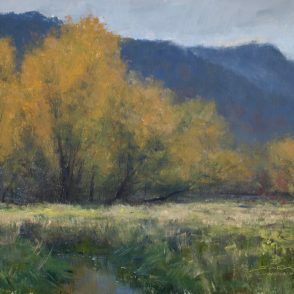 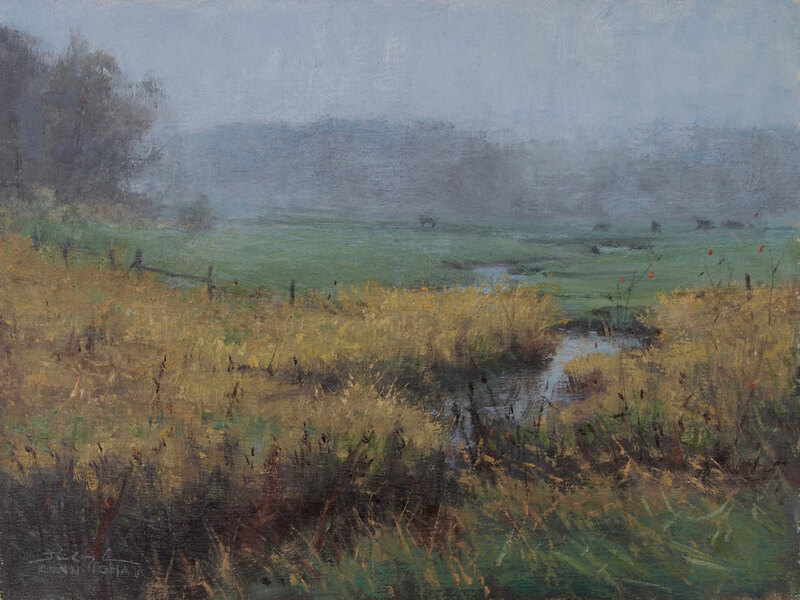 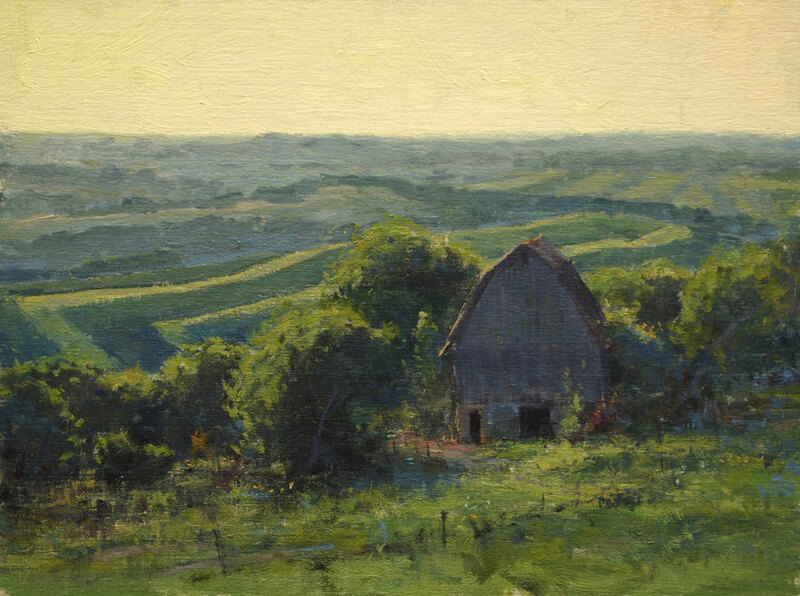 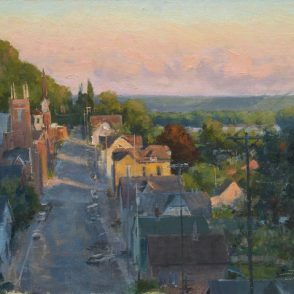 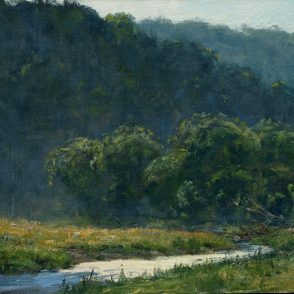 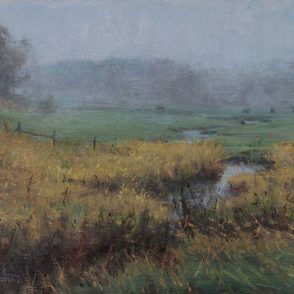 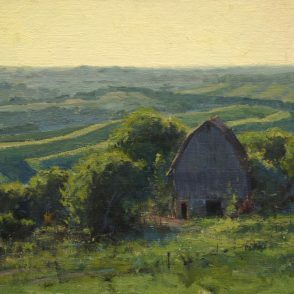 Using quick brushstrokes, his skillful impressionist landscapes capture scenes around the Twin Cities and beyond, from old industrial structures, city streets and small towns, to open fields and country roads. 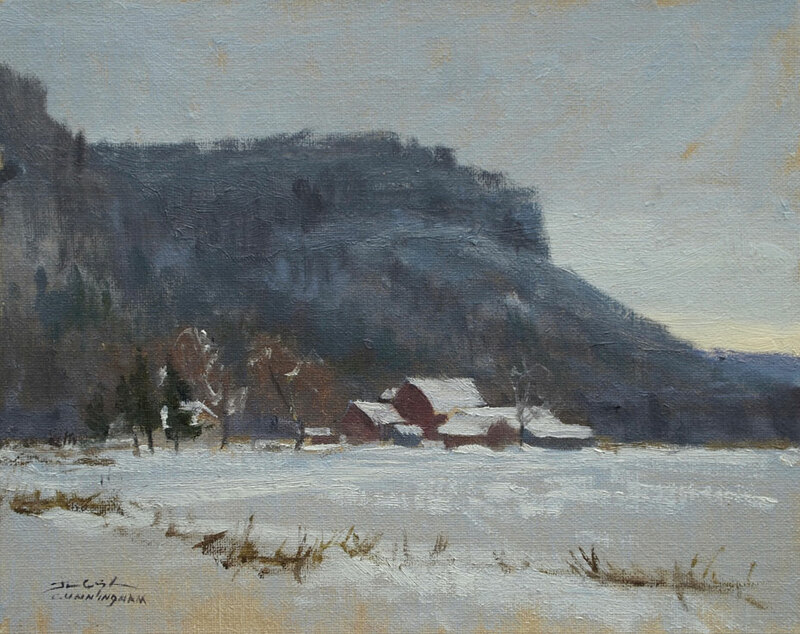 The artist will be present at the opening reception Saturday, December 2nd from 2-5 pm. 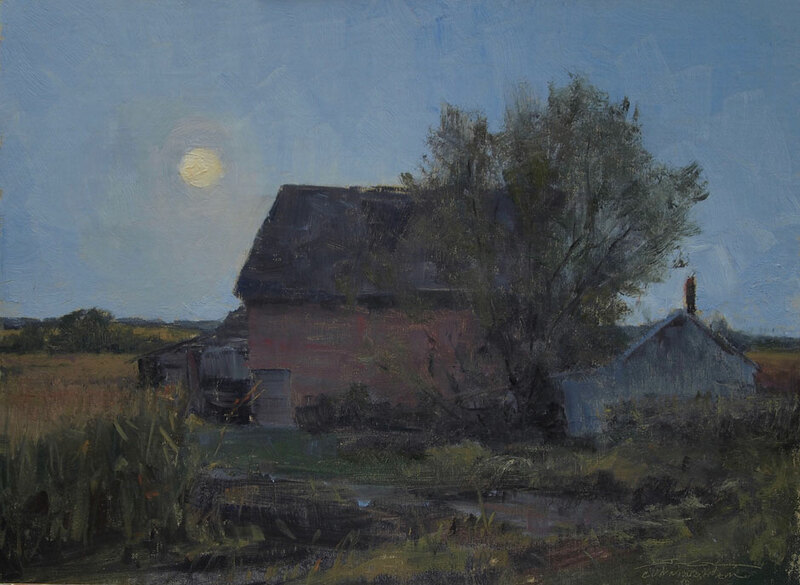 The opening reception and exhibition runs concurrently with From the Bog by Meg Ojala. 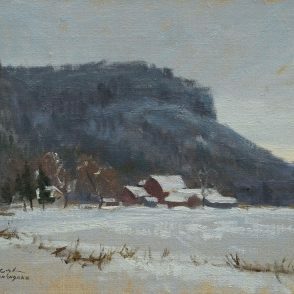 Both shows continue through January 13, 2018.